On Halloween 1975, Martha Moxley was found brutally murdered outside her home in swanky Greenwich, Connecticut. Twenty-seven years after her death, the State of Connecticut spent some $25 million to convict her friend and neighbor, Michael Skakel, of the murder. At Michael's criminal trial, the State offered no physical or forensic evidence, no fingerprints or DNA, no eyewitness linking Michael to the killing. The trial ignited a media firestorm that transfixed the nation. 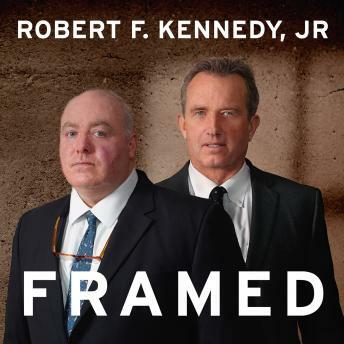 Now, Skakel's cousin, acclaimed attorney and award-winning writer Robert F. Kennedy, Jr., solves the baffling whodunit and clears his cousin's name. Kennedy, with meticulous research and reporting, proves that Michael Skakel did not and could not have murdered Martha Moxley. He chronicles how Skakel was, nevertheless, railroaded amidst a media frenzy by the devious actions of a crooked cop, a trio of mendacious writers, a treacherous family lawyer nursing a secret grudge, a narcissistic defense attorney obsessed by the spotlight, a craven prosecutor gone rogue, and a parade of perjuring witnesses. These colorful characters leap off the pages like seedy villains in a dime-store crime novel . . . but it's all true. Kennedy also shows how he tracked down the likely killers, a pair of ghosts who moved in and out of Greenwich and whose presence was detected by neither police nor press during thirty years of costly yet shoddy investigation. Today, those men walk free. The book is at once a riveting drama and an impassioned critique of the American media and legal system.